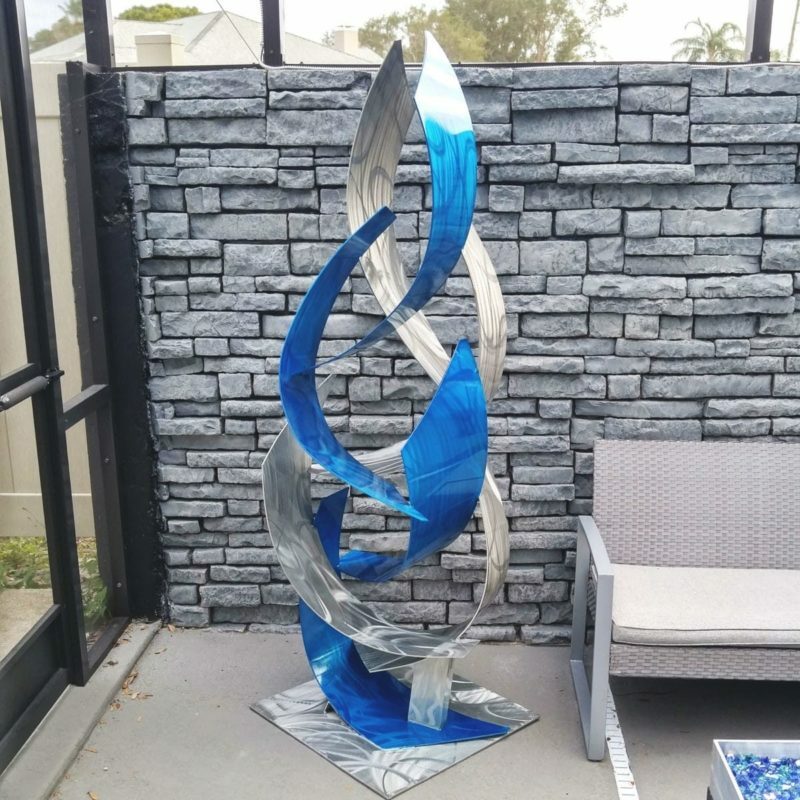 Tempest is a large copper sculpture created from laser cut pieces of aluminum plate. 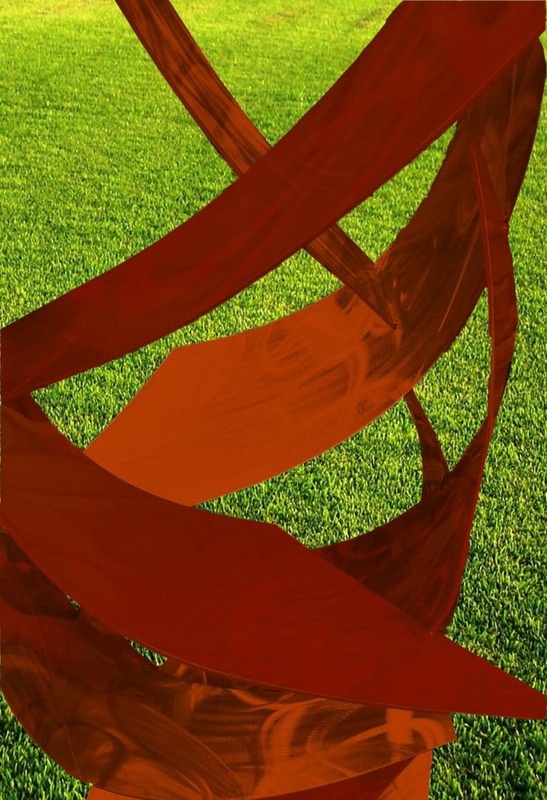 The copper color is applied using an anodized powder coating for maximum visual depth and durability. 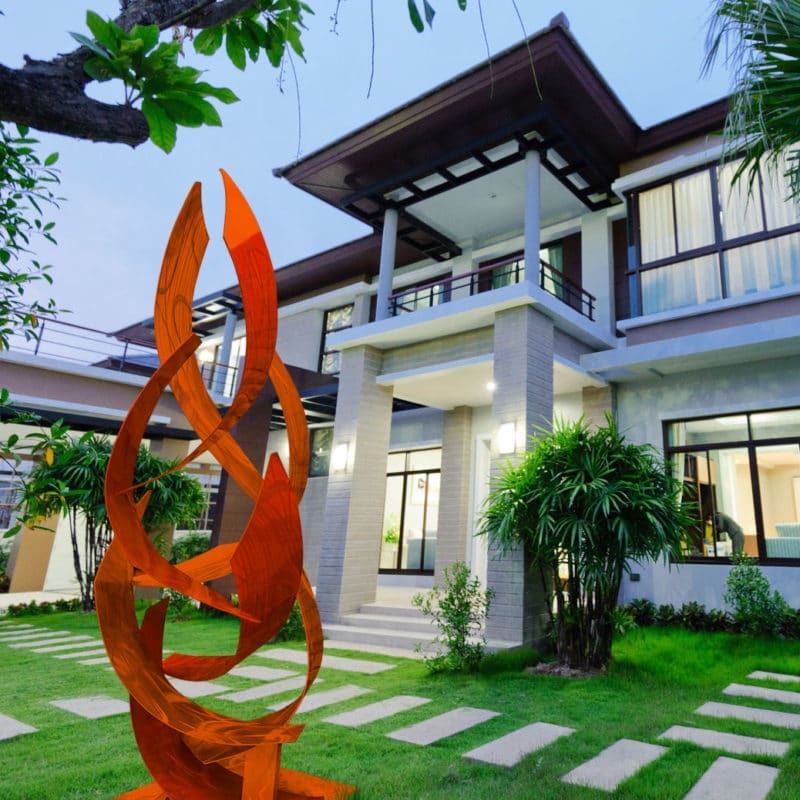 Each piece bent, textured, welded and coated by the artist. 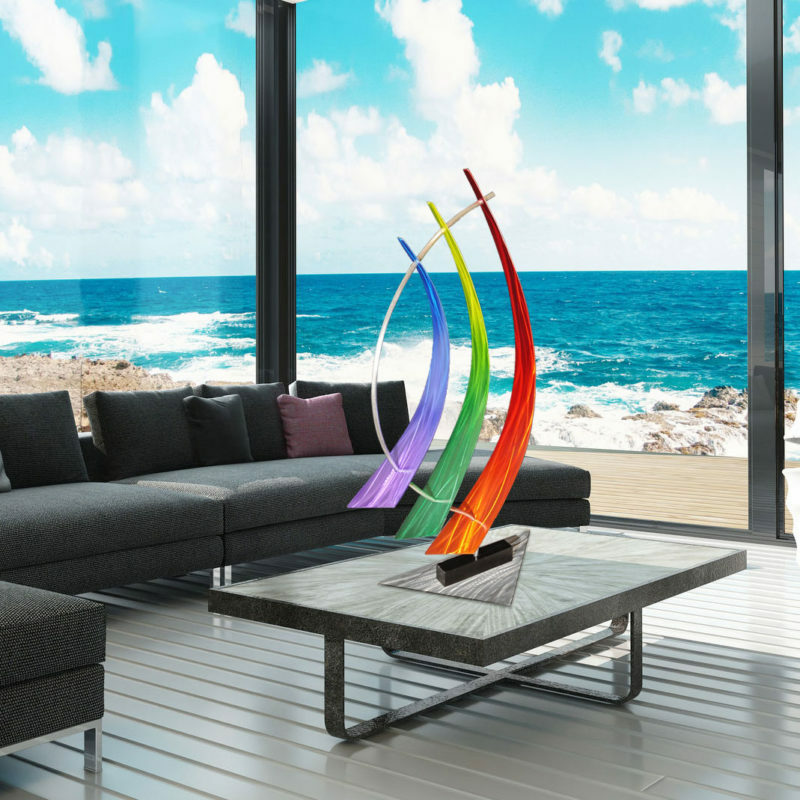 This piece is powder coated for ultimate weather resistance. The colors and textures are a signature application applied by the renowned US artist Dustin Miller. 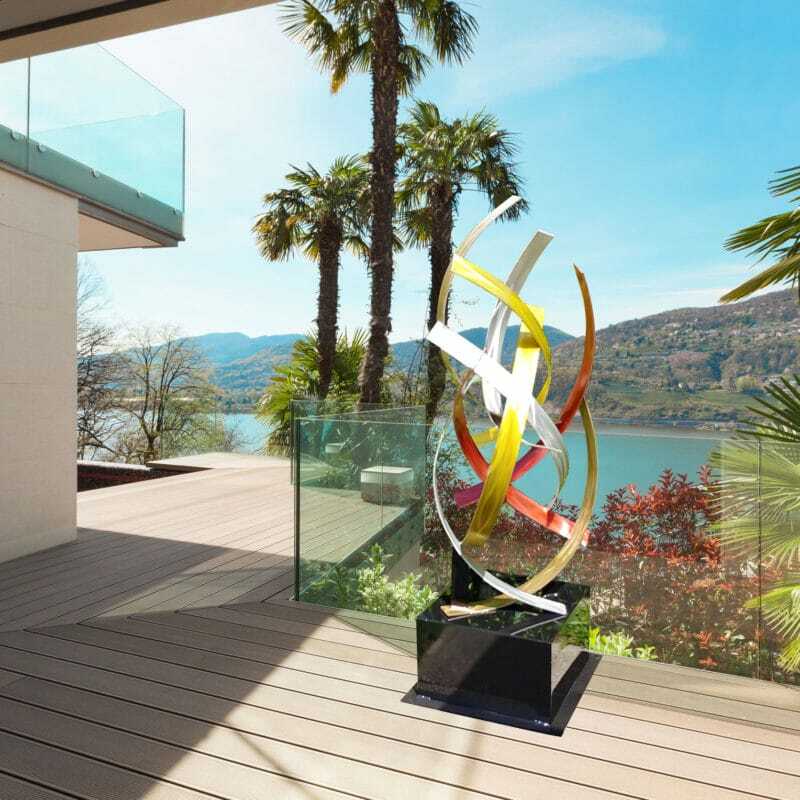 The sculpture changes shape and the dynamic grind patterns shimmer in different lights. The exclusive deep colors of this piece are luxurious. 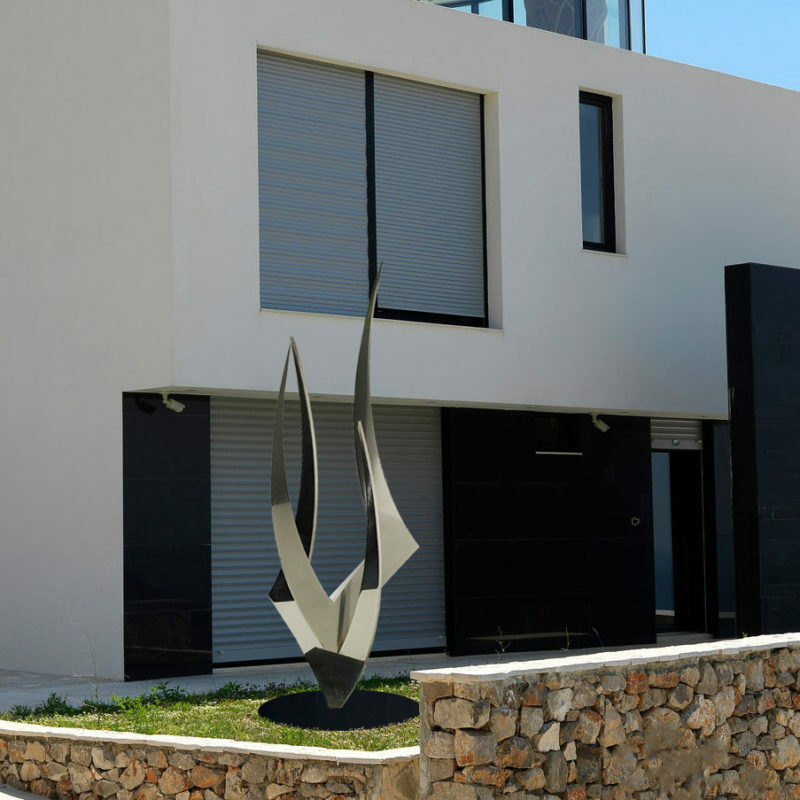 The artist creates his modern sculptures to reflect an abstract style inspired from the elements of earth.